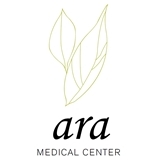 Ara Medical Center (New York) - Book Appointment Online! Dr. Lee is a Family Practitioner servicing the New York City. As a distinguished member of the American Board of Family Medicine Dr. Lee shares her expertise and caring professionalism with every patient. Dr. Lee has a unique alternative specialty in the field of Anti-Aging using bio-identical hormones to achieve incredible success and uses ONDAMED to treat various conditions including anxiety, muscular pain, joint pain and intestinal issues. Specialties include: American family medicine, General Medicine, Internal Medicine, Gynecology, and Anti-aging.